I’d say that the Jaguar is a Mark 1 rather than a Mark 7. Another excellent story, and the right touch with regard to the tragedy on the day. All sedans qualify as sports cars. A lightweight Mini, like a gutted FJ, with no rear seat cannot run as a sedan. Remember, too, that at this stage there was no ‘Sports Sedan’ category, only a loose arrangement where such cars ran as ‘Sports Cars, Closed by invitation’. On another occasion (1970? 1971?) 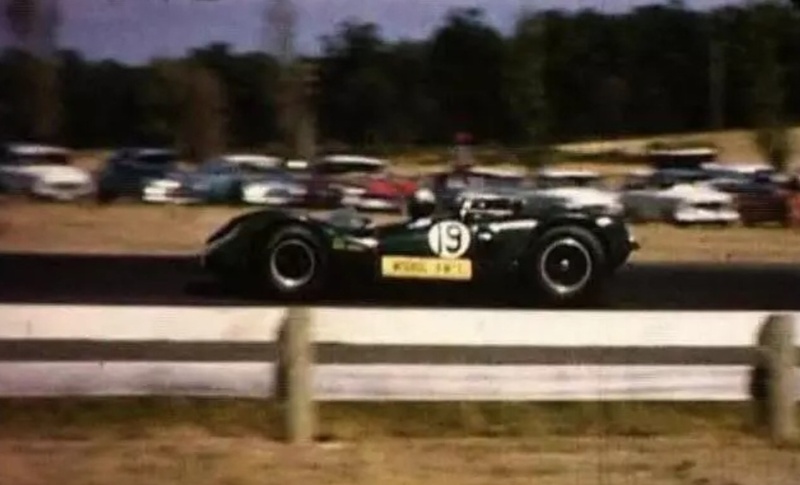 Bob Jane threw the rear seat out of his Mustang and ran it in a Phillip Island Australian Sports Car Championship round to help make the field bigger. I didn’t realise there was no ‘Sports Sedan’ category back then, so it was really a promoters choice type of thing to ‘spice up’ the grids? That’s right, Mark. The beginnings of Sports Sedans came with the introduction of Improved Production in 1965. There was a whole bunch of low-budget people around (and others) who were racing cars built to Appendix J regulations and it would have cost them a lot to put them back to Improved Production (where the maximum overbore was 0.040″) and they would have been in different classes anyway. 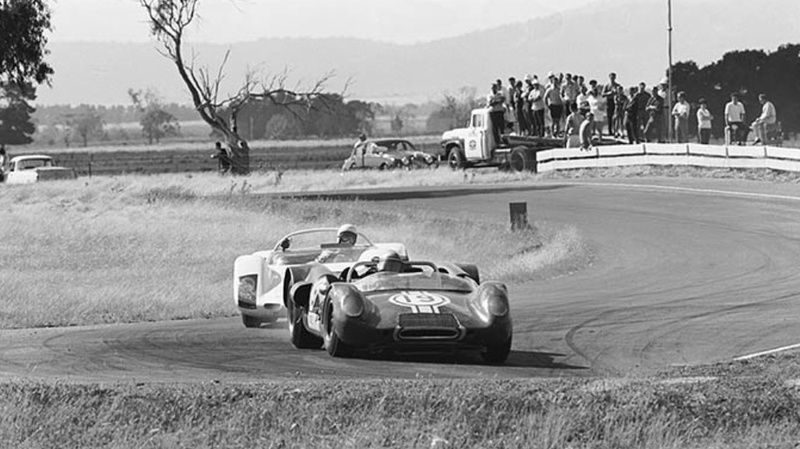 For instance, early Holdens ran in up to 2600cc and most were close to that limit. In Improved Production the class limit was 3-litres and it would have meant them running at about 2300ccs – against a growing number of EHs with the much more modern engine at around 2960cc or so. So some leniency was granted by most promoters to run races for Sports Cars with eligibility limited to sedans which no longer fitted into Touring Car regs. In time some realised that this opened the way to modify the cars further, remove more weight, fit 4-speed gearboxes, put a red motor in your FJ, bore your Mini to 1370cc and chuck out the back seat. Ultimately somebody got really serious and fitted a Holden 179 motor into an A30, though that was by no means the first of this extension of the idea. Then people got together and started lobbying the CAMS to have a special class for them. Sports Sedan Associations were formed, potential rules written, meetings held and the class came into being. 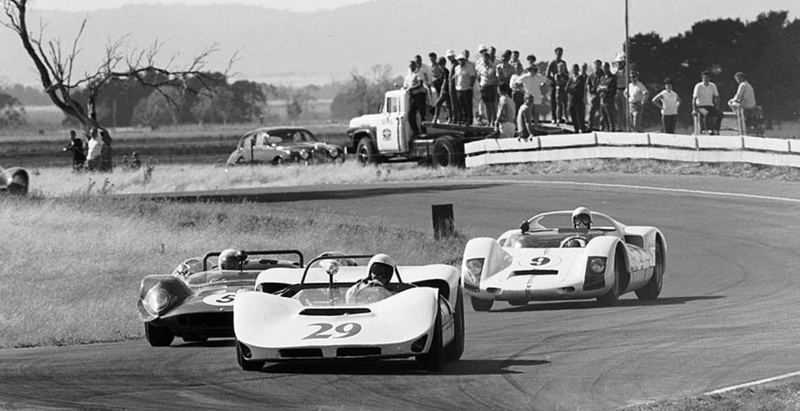 It was unusual to see such cars running with the Sports Racing Cars, but it happened. And it did enlarge grids at some meetings, as previously mentioned. As for Bob Holden running in this particular race, I’d suggest it was just typical Bob trying to get the maximum racing mileage out of his trip to Tassie. I didn’t realise the rule changes were the genesis of what became ‘sports sedans’- is it fair to say Oran Park was the circuit which fuelled the growth more than the rest of the circuits? They were heavily into it, but so were a number of other circuits. 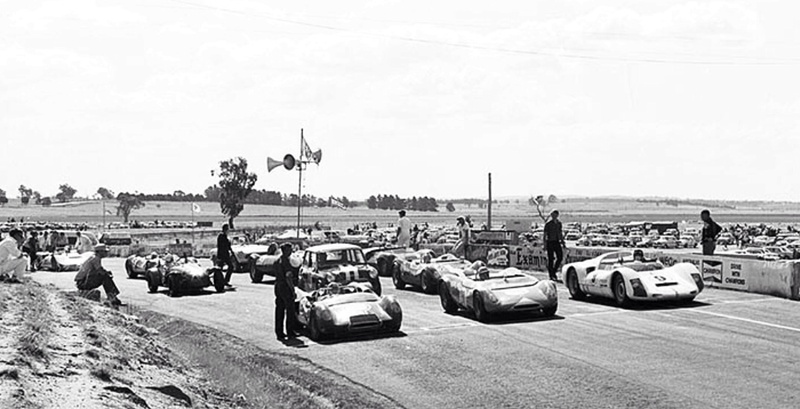 Catalina Park, Bathurst, Hume Weir, they all picked up on the need for races for these cars. Oran Park had strong ties with Hume Weir at the time (the Horsley connection) so they played the same tunes.